Boat owners often assume that their homeowners insurance provides complete protection for their vessel. 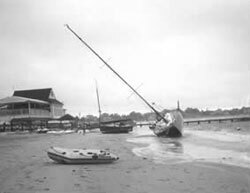 Unfortunately, many learn the hard way — after a loss occurs — that their homeowners offers very limited property and liability protection to boat owners. What types of boats qualify? Most boat insurance policies are designed to cover boats 10 years old and newer or require a survey. Boats eligible for this insurance include outboard powered boats, inboard powered boats, sailboats (with or without power) and outdrive powered boats. 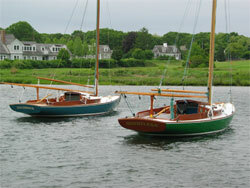 Non-powered boats (such as canoes, rowboats, and pedal boats) are also eligible. If the size of your vessel is 26 feet or greater, it’s generally considered a yacht, and therefore qualifies for yacht coverage. 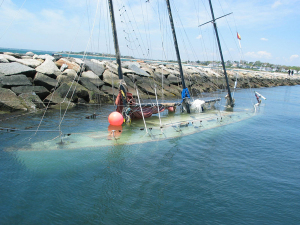 This important coverage pays to repair your boat if it’s accidentally damaged or destroyed by a covered peril. Physical Damage coverage is very broad, with a few exclusions such as wear and tear, dishonest, illegal, intentional or fraudulent acts. personal property kept aboard your boat. A deductible is the amount of risk that you are willing to assume in case of a loss. The higher your deductible, the lower your insurance premium. Boat deductibles are usually determined as a percentage of your coverage and can range from 1% to 10%, depending on the type and speed of the boat. For example, if your deductible is 1% of $20,000 of coverage, you would pay the first $200 of the loss. When selecting the deductible on your policy, consider how much financial loss you are willing to assume. Also consider how much premium you could save by choosing a higher deductible amount. A lower deductible of $100 may be available for special equipment such as boat trailers, personal effects and dinghies. This important coverage protects you if you are legally responsible for damages to property or injury to someone other than yourself or a family member. Boat liability coverage protects you in the event you are sued as a result of hitting another boat, or if someone is hurt onboard your vessel because of your negligence. This coverage is usually offered in increments of $100,000 up to $1 million. Uninsured Boat Coverage: pays for injuries caused by an accident that you are entitled to recover from the owner or operator of an uninsured boat. This also applies in situations involving an unidentified “hit-and-run” boat. Medical Payments: covers reasonable medical, ambulance and hospital costs should someone be injured while in or upon boarding or leaving your boat. Commercial Towing and Assistance: You are reimbursed for the reasonable costs incurred when you break down at sea and need a commercial tow to port. Inspection surveys are strongly encouraged to prevent injuries and maintain the safest of boating conditions. This is especially important for older boats powered by gasoline because gas vapors can be extremely dangerous. As boats get old, fuel lines or connections can wear out causing gas vapors to escape and settle at the bottom of contained areas. Any spark can set off an explosion. Consider installing a vapor detector in your engine compartment…these low-cost devices can warn you of gasoline vapors in the engine compartment. Inspect your boat on a regular basis, especially your electrical and fuel systems, and your safety equipment (such as fire extinguishers and personal flotation devices). Some companies demonstrate their commitment to safe boating by offering a premium discount for policies where all the operators have successfully completed a Power Squadron or Coast Guard Auxiliary basic or advanced seamanship course. Copies of certificates are required. Newer boats also benefit from lower premium rates. Leonard Insurance will assist you to find the best value possible.